Okay, fine -- maybe Adam didn't say that about this recipe. 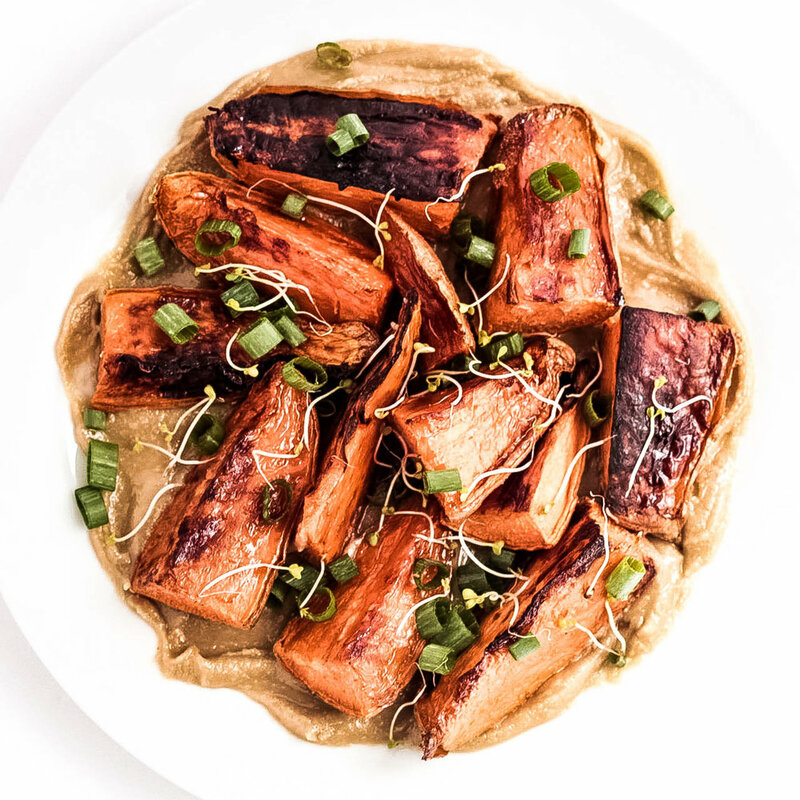 I don't know how I've managed to go this long in life without experiencing the beauty in my mouth that was these baked, soft sweet potatoes with the melt-in-your-mouth texture of tahini. The recipe is simple enough, too. Cut the sweet potatoes in halves until they're a wedge-like shape and size (or really whatever shape or size you want). Place them in the oven to bake at 400 degrees for up to 40 minutes or until they start to brown on the bottom. While the potatoes are in the oven, prepare your tahini. Take tahini and spread evenly on a plate or bowl. Grab your scallions and chop up until desired size. Once the sweet potatoes are done, layer them on top of the tahini. Sprinkle scallions and sprouts as you wish.